Features the same non-stick properties as our silicone glue tools—larger 23-1/2''W x 30-1/4''L size is ideal for standard workbenches. 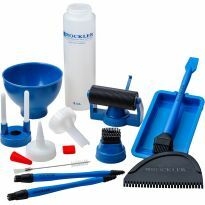 The Rockler Silicone Project Mat XL is made from easy-to-clean silicone so wet glue rinses off and dried glue peels off. 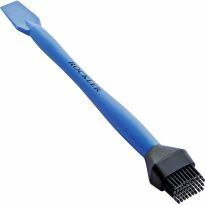 This larger size measures 23-1/2''W x 30-1/4''L—ideal for use with standard workbenches. In addition, the interlocking design lets you chain together as many as you need end-to-end to cover your bench. Use anywhere you want to protect your work surface or your project, whether in the garage, shop or even on the dining room table. 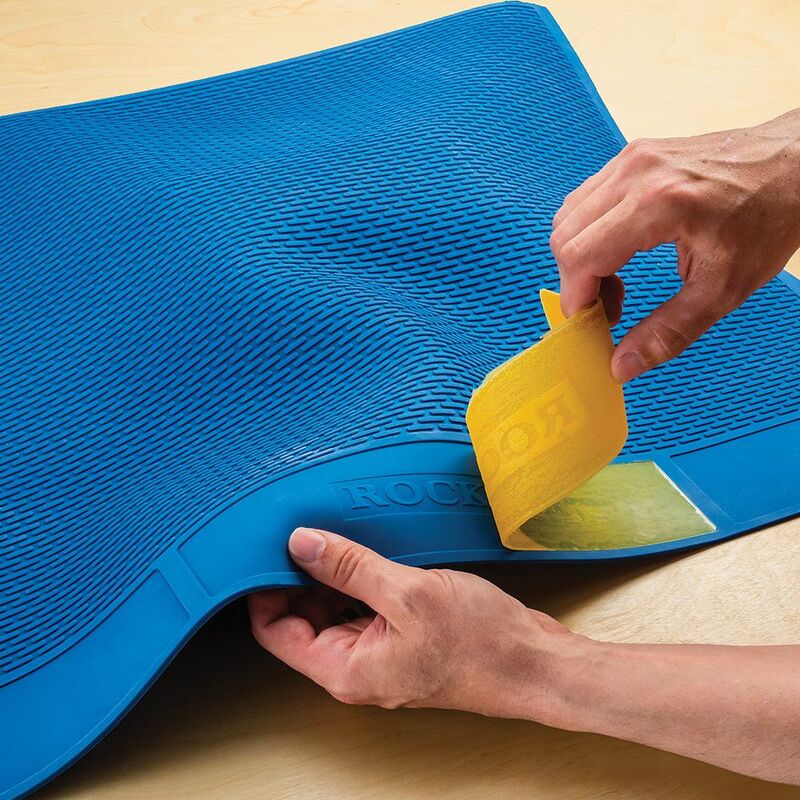 Since the mat is heat-resistant, it also works well as a protective barrier for hot glue guns. The material is soft, and one side has a textured surface to trap debris that could scratch or dent your project. The non-textured depressions at the front help to keep screws and fasteners from rolling off the bench. Note: Not for use with CA glue. 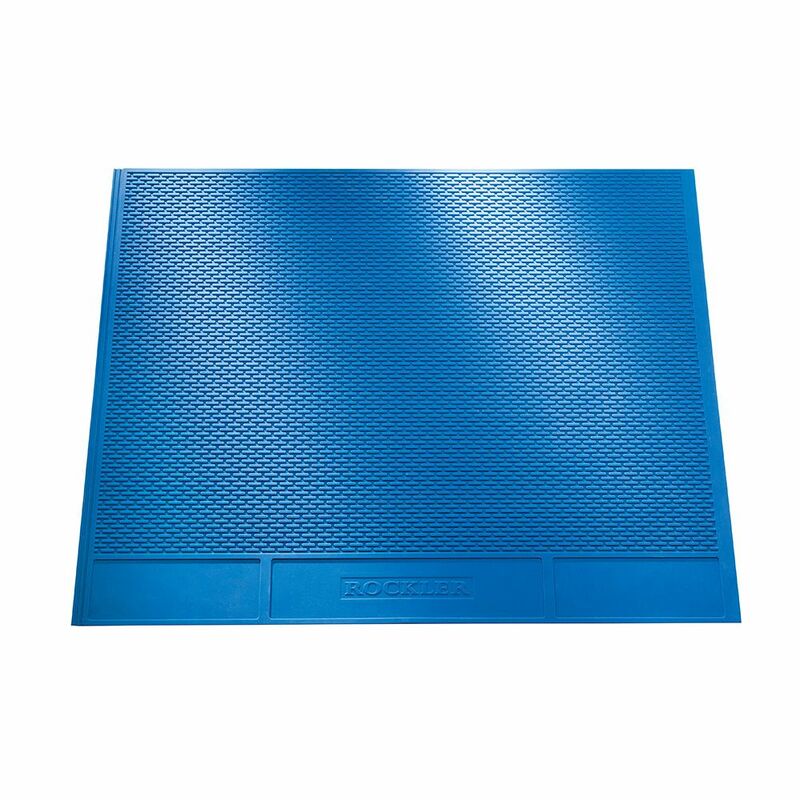 Seam between multiple mats resists leakage, but is not leak-proof. I have two mats and looking at buying a third. Very handy for gluing up projects and cleans off pretty well. It will protect my outfeed table which I use for glue up. Works great, just wish there was an even bigger size. They work really well.would buy again. This is a durable and practical buy. It’s what it is advertised as. Only has a few weeks so longevity is something I can’t comment on. Works great for glueing and sanding. Does not leave marks on the wood as the mess rolls do. Store in a 3 inch piece of PVC that is attached to the wall rolled up. Will order a second one to completely cover my Roubo bench top during glue ups and sanding projects. I bought two of these to protect my workbench while I'm gluing. I used to cover the bench with waxed paper. This is much better. Great product. So nice to have a clean glue up station. It cleans up easily if I make a mistake. 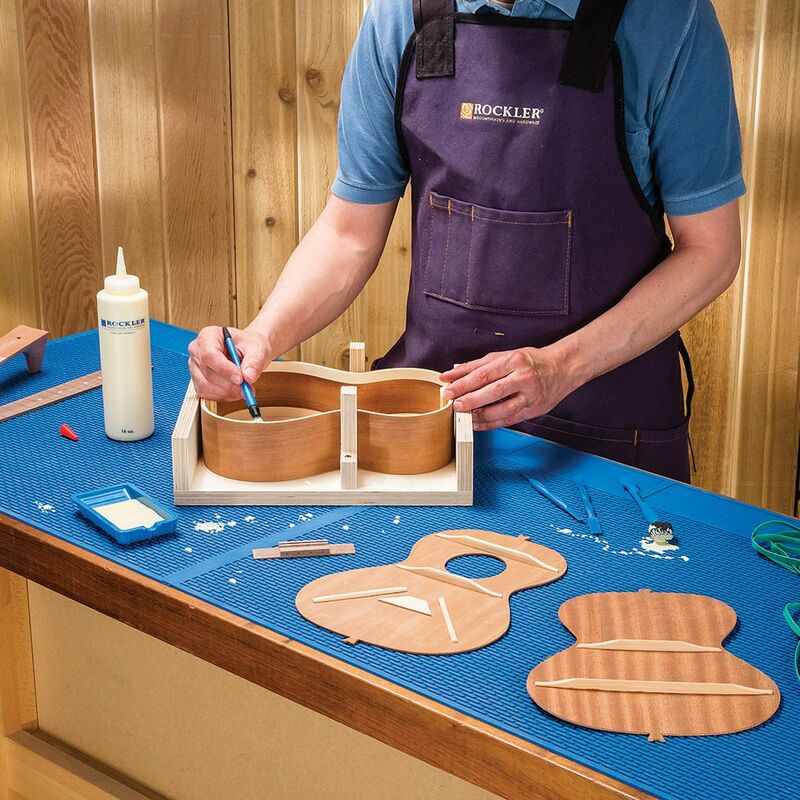 The silicone project mat XL simplifies the glue clean up after a large glue up. Mats have been put to great use side they arrived. I kept seeing the smaller mat and then the larger one went on special. I basically use it as the top of my primary work area on my bench. 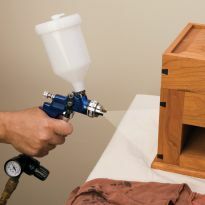 Keeps things from slipping and easy to clean up after gluing or spraying lubricants. Seems a bit pricey considering you could just get a silicon baking pan liner, but I like the raised areas and the bright blue color. Works great. I’ve used the smaller silicone mats for several years, and it’s nice to have a larger one now. Great mat really liked it. 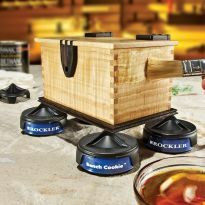 A bit over priced i think but then again most Rockler products are. Awesome mat to glue projects together. 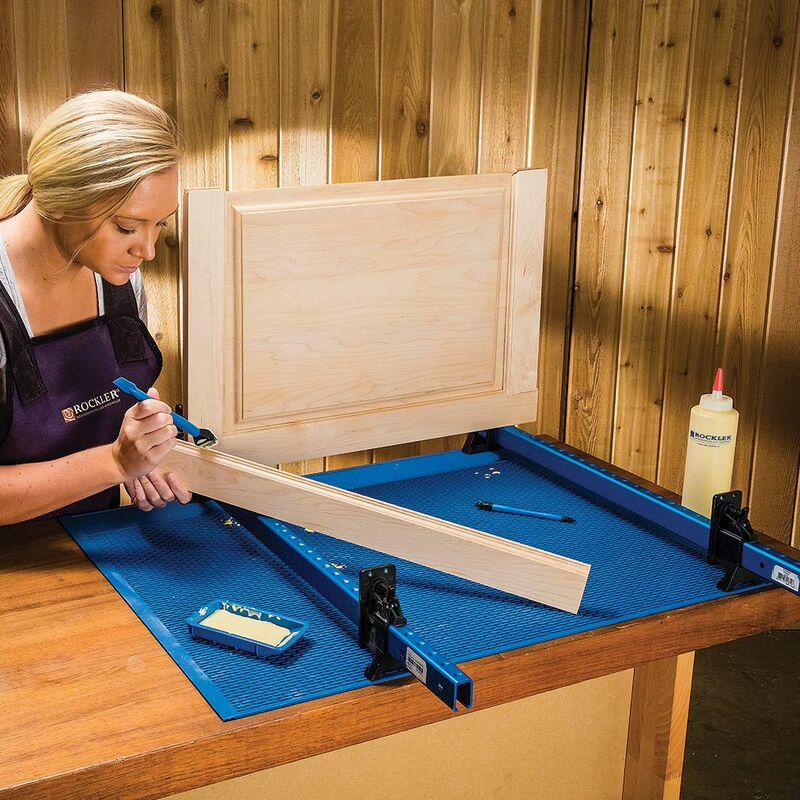 Keeps projects from moving across work bench and clean up is super easy!!! 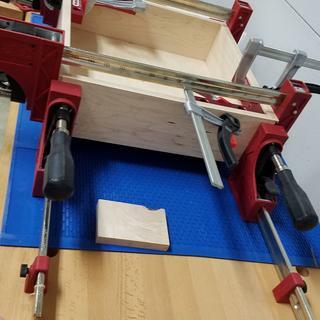 Perfect to work on and glue up projects. This is a terrific party and I don't give five stars to products easily. It's tough, durable, and might I add, absolutely beautiful. I use it for wood working projects. 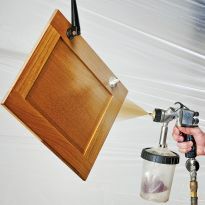 A great product, easy to clean up and control drips! Had the older, smaller version and it has been great. This larger one is a little different in design but works great. 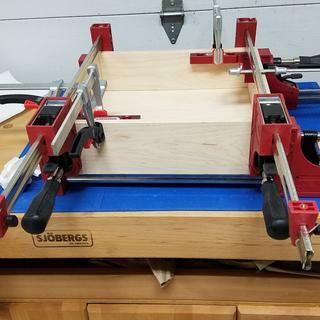 I do a lot of panel glue ups and these are perfect to place under and catch the squeeze out. Very easy to clean. Very easy to store when not using. Really saves your benchtop. Great product!! Glue peels right off after drying. Very limited amount of slip also. I originally bought the smaller version and was so impressed with it I opted to get the larger one as I extends further back on my woodcarving bench. As a wood carver I often have knives and gouges scattered about and this mat is very forgiving on tool edges. I am thinking about one more as to cover the remaining surface on my bench. If they get looking dirty I just rinse them off with hot water and they look brand new. Excellent product and recommended. I have the smaller mat and this will be a great addition. Nice heavy, durable instruction! If it was in the budget I would cover all our work tables with it. This mat is a perfect accessory for my workbench when I do glue-ups. No longer do I need to lay newspaper or craft paper on the bench top. Great size too. I will probably purchase another one so I can cover my entire bench top. I have also been using the mat to cover my table saw top when I want to use that surface as a workspace. 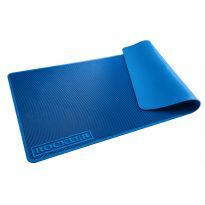 The best silicone mat I have bought over the years! A great size and very durable design. Don’t realize it’s ability to be connected to other mats to extend the length. Really cool! Very nice mats. My only complaint is that they do not seem to link together well because they stretch easily. 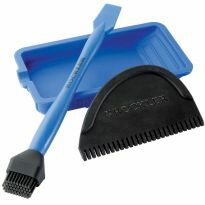 I have the silcone applicators and find the easy clean-up a real plus. 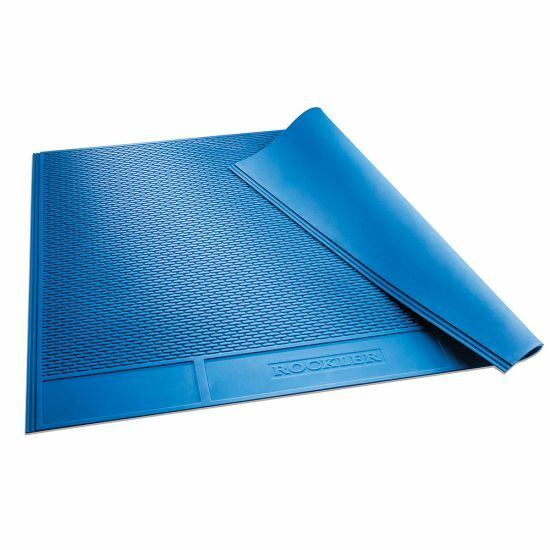 The mat will be a great addition and make glue spills, drips, etc., much easier to clean up. 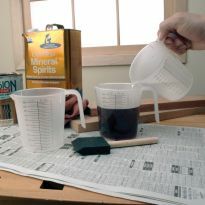 Plus the glued parts won't stick to the mat the way they do to a wood surface, newspaper, or plastic drop cloths. I'm tired of having to work to keep glue off my workbench, and two of these, chained together, almost perfectly cover my bench top. Hope they work well. Looks good for Shop tables. To go with the first one I purchased to enlarge the gluing area on my work bench. Great product!! To keep work area clean when doing glueups. Also to use when sanding & routing to keep work from moving. My bench is a mess. This should sort it out. I believe this will allow me to eliminate having to scrape dried glue off my wood work benches. I want non-stick glueing supplies for projects on my workbench. I like the larger size of the XL and the fact that they can interlock. Should provide good protection for my general work / assembly table. Save using disposable "paper" on my workbench. Great protection for project and work surface, look more durable then previous pads. Keep glue from sticking to places I don't want it to. My son wanted these items for his birthday. He has a wood shop. Have one and love it but needed a couple more when working with larger pieces. 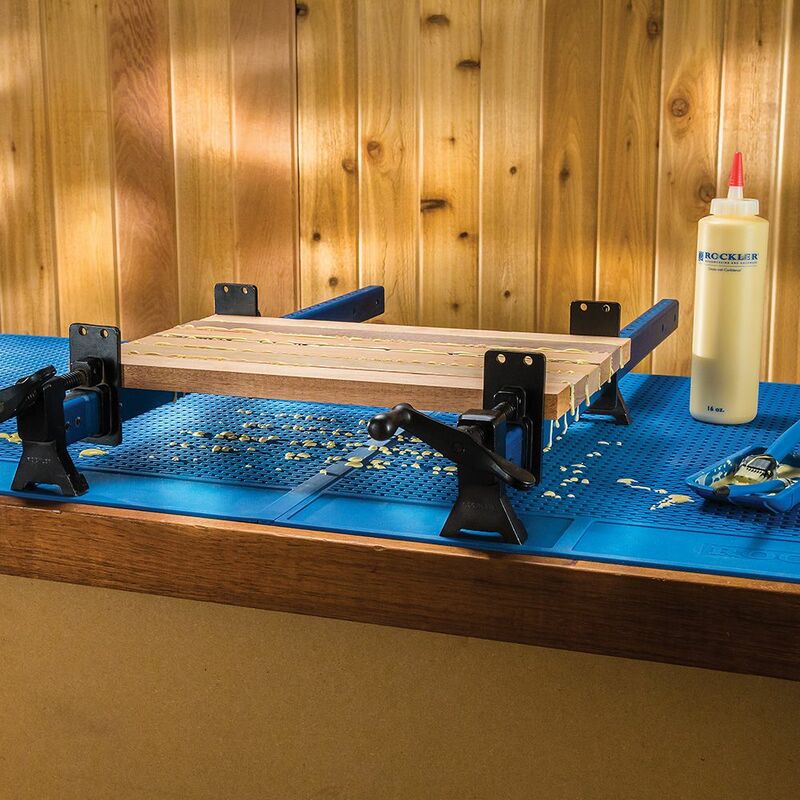 Cleans up great and protects wood bench top. It's fantastic. I got one for my worktable, which my wife promptly took for her craft table. Since I had to buy a replacement, I decided to buy enough to cover my entire worktable. To protect my new workbench when gluing up projects and have the ability to vary the size of the mats used. 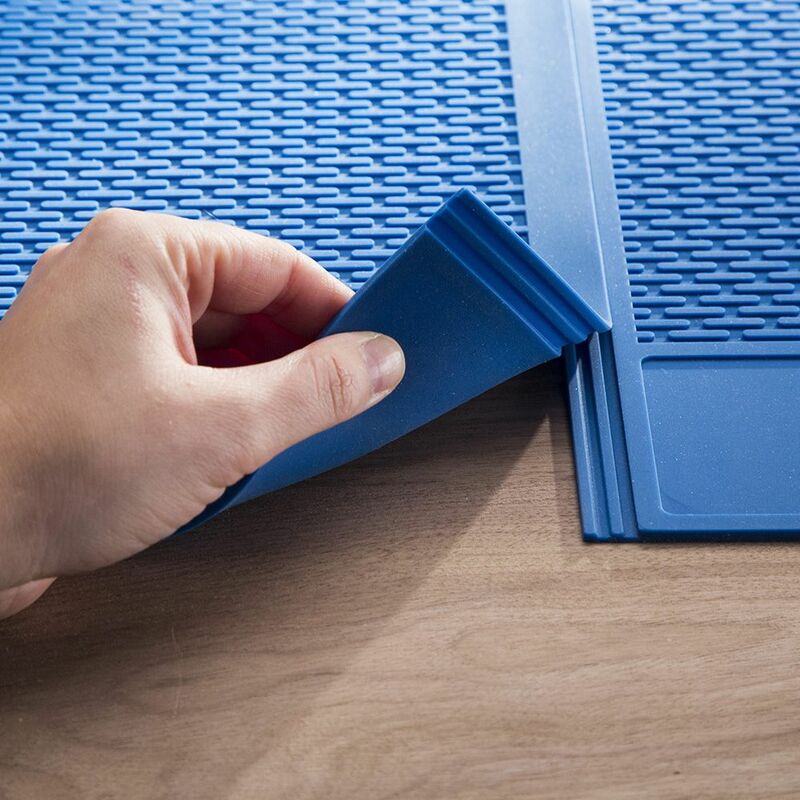 No other mat is this size and has the ridges that "bury" the glue under the project. Because my wife uses a kitchen counter for her work and I need to protect the coounter. Have the smaller version and it works well. I needed the additional mat to cover the top of my Roubo work bench during glue-ups. To keep glue from sticking my project to my jig. Since the glue brushes and tray clean up so easily I know the mat will not only protect my work bench bu will also clean up as well. 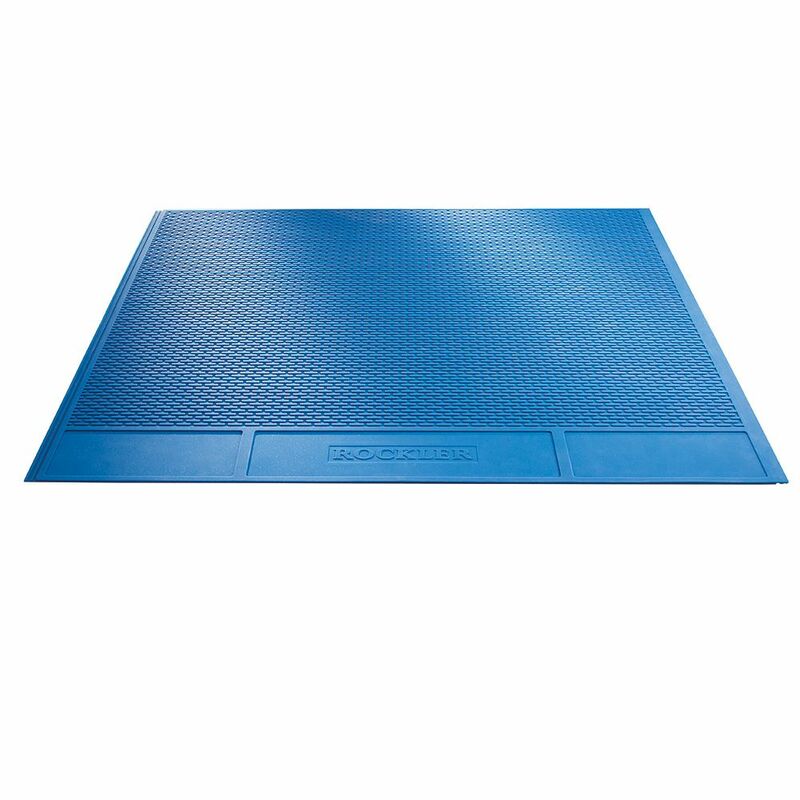 Plus this mat will hold the small part more readily than the other non slip mats, and the small parts will not get hung up in the gaps of other mats. Was tired of putting cardboard or paper down. 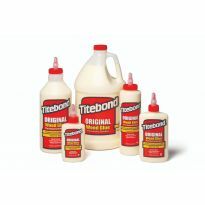 This should keep the glue residue off my bench top. Will wood stain stain this mat? BEST ANSWER: The mat was designed mostly for glues. Stains and paint should wipe up easily, but could potentially leave behind a stain if left to dry. I would recommend testing on a small inconspicuous area before staining or painting. 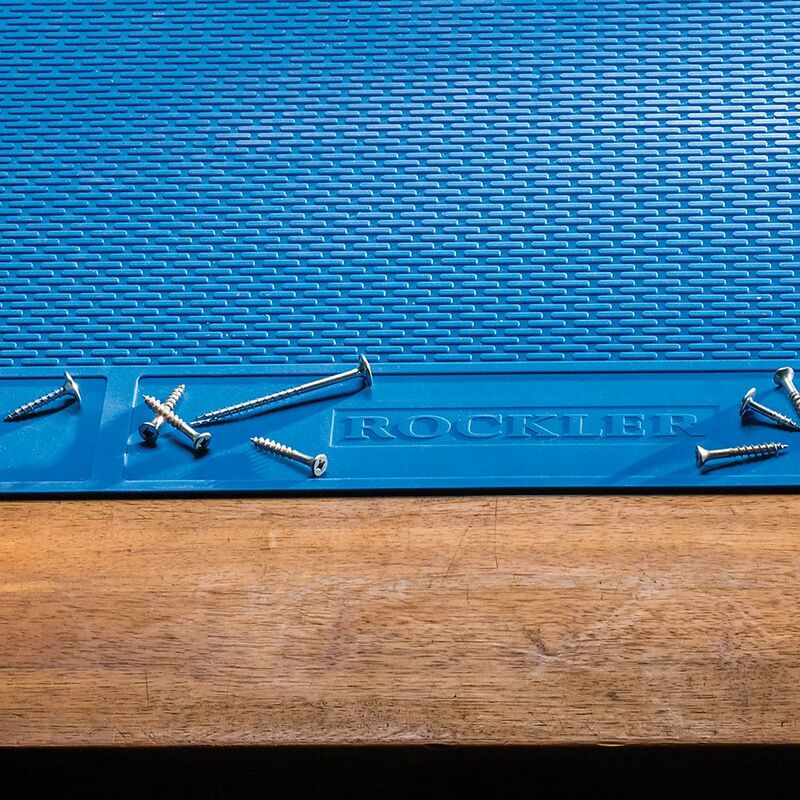 Will resin also peel off this mat? BEST ANSWER: Is it epoxy resin? I turn the mats I have over when glueing anything to the smooth surface and peels right off. If the harder and resin are mixed, epoxy will bound to anything. When working with epoxy I use wax paper. Is the mat dishwasher safe? I need a 23-1/2 square to fit my bench. Can I cut this to fit? BEST ANSWER: Absolutely. Scissors or a utility knife would easily be able to cut it. Yes but you will lose the factory molded edge. Does it lay flat if you have the smooth side up? Yes. I use it with smooth side up. Easier to clean. Is it chemicle resistant for mechanics bench? BEST ANSWER: I have used my mats for my gunsmith's bench rather than in conjunction with a mechanic's bench. Mine handles the rather harsh chemicals used for metal and wood work very well indeed. I should think it would your needs. I have only used it on my wood work bench and wood router table, I could not tell yes or no on a metal surface. How well does it work with CA glue? Does CA easily come off? 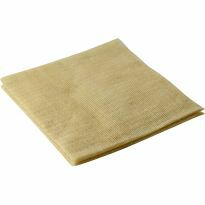 BEST ANSWER: If you get CA glue on the nubby side of the mat, it can difficult to remove. If it gets on the smooth and it is wiped off quickly and thoroughly, I don't see any residue. I have not left any CA glue on the mat for more than a couple of minutes so I don't know if there would be damage. I've never glued anything to the mat with CA glue. I use CA solvent to get the stuff off my fingers and I'd guess it would work on the mat. That's just a guess. Will a diode 5 watt laser cutter harm this mat?